This is a perfect windowsill herb garden recipe. I have always have a small herb garden somewhere nearby, either in a pot, or I'll reserve a small part of my patio garden. I get small basil plants from the local nursery or hardware store. A basil plant only cost a few dollars and once it grows out, you can get several serving worth - a much cheaper way to go than buying an expensive bag of basil leaves from the grocery store. 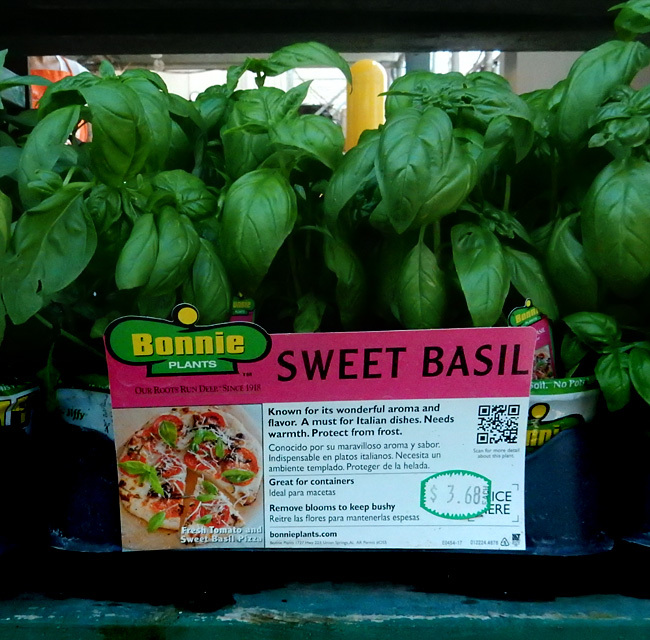 A farmers market is another less expensive place to find basil plants. 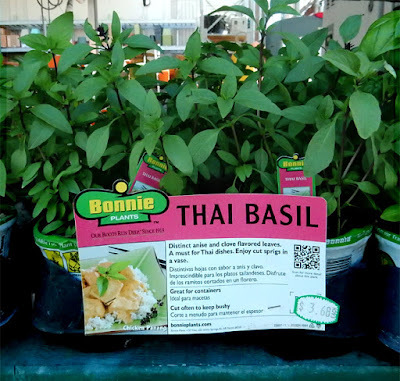 You can use regular basil or Thai Basil. Both are about the same, although Thai basil has a slight mint undertaste. I see Thai basil at local nurseries too. 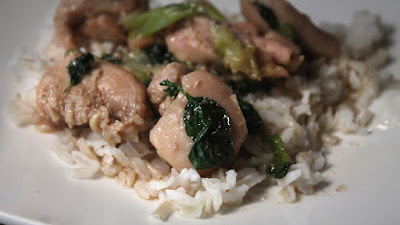 My Chicken & Basil Stir Fry is pungent, but not overly so. Like spinach, basil leaves shrink when cooked, and once mixed into a stir fry takes on a milder flavor. 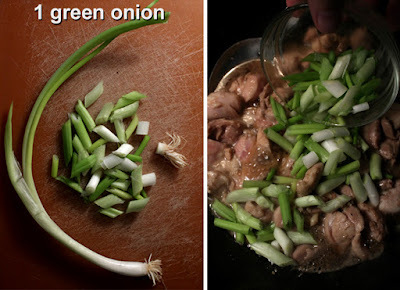 I also add minced garlic and sliced green onion, but you can substitute cheap sliced yellow or white onion if green onion is not available, or too expensive. 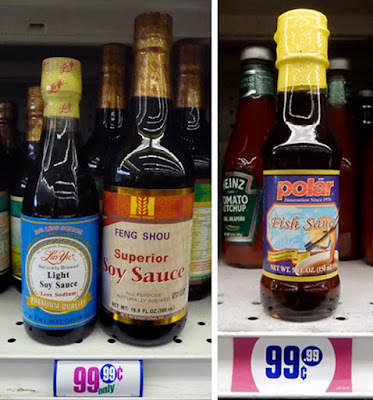 This recipe is based on a Thai recipe, so the other flavors are soy and fish sauce with a little honey (or sugar.) If you cannot find fish sauce, then use easier-to-get oyster sauce. But this stir fry will taste fine without fish sauce or oyster sauce. Usually Basil and Chicken Stir Fry has a whole spicy red chili. For this recipe you can use red pepper flakes or any spicy chili from your local market. Of course, you can leave the heat out. 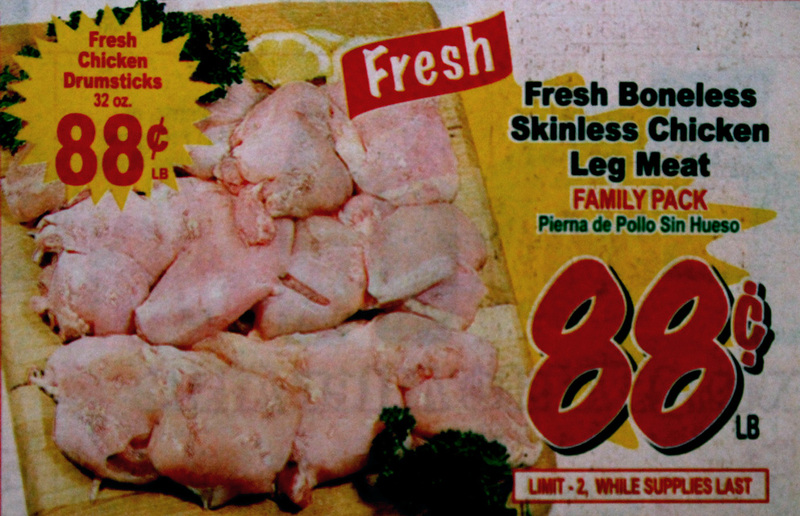 I find skinless dark meat chicken on sale all the time at my local Latin market, for less than a dollar per pound. If you want to keep it cheap then you have to by it bone-in. 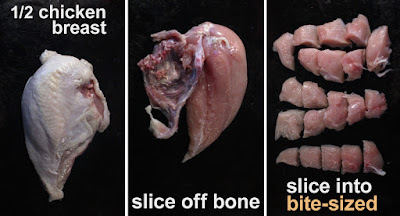 It's not that hard to remove the bone, especially for breast meat. You could also use lean ground chicken or turkey, instead. It's a one pan meal, and all comes together quickly, that's why I like to make a stir fry. It only takes about 10 minutes to do, and it's ready when the chicken is cooked through. 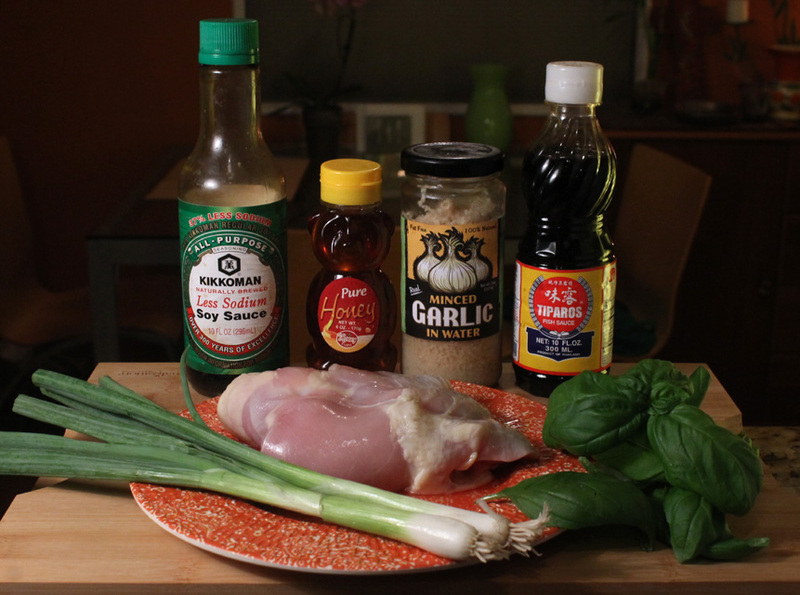 If you like fresh herbs in your entree, then try out the 99 Cent Cheap$kates latest recipe, a fragrant Chicken & Basil Stir Fry. Play it here. Video runs 2 minutes, 43 seconds. 2 pounds chicken - I used skinless and boneless dark meat, okay to use breast meat. Ground chicken or turkey is good substitute. 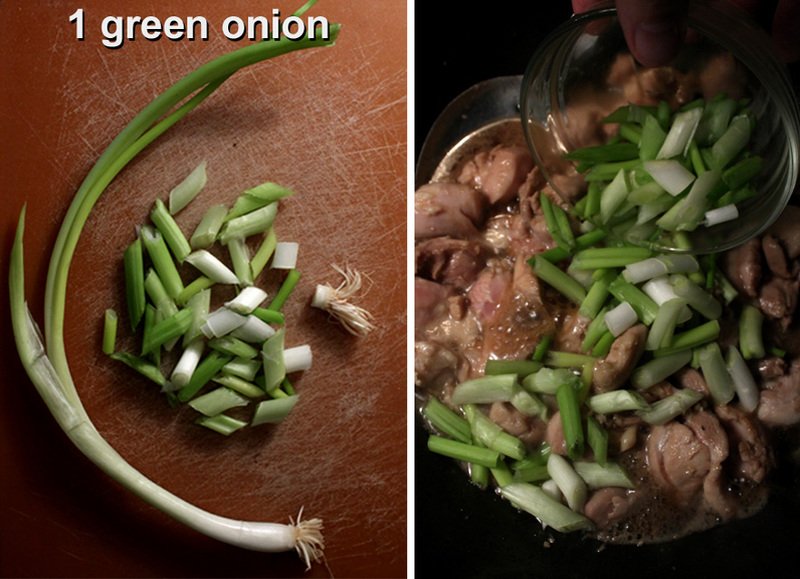 1 green onion - okay to use 1/4 yellow or white onion, sliced or chopped. Okay to add as much green onion as you like. 1 cup basil leaves - add as much as you like, to taste. You can use dried basil leaves in a pinch, try a tablespoon. 1 teaspoon honey - or any favorite sweetener. 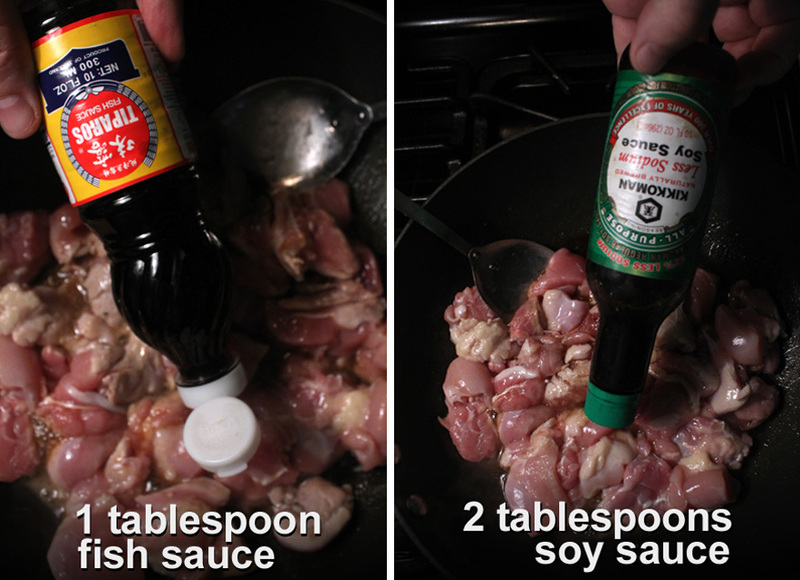 1 tablespoon fish sauce - okay to substitute with oyster sauce. Will still be tasty if you cannot find either one. 2 tablespoons soy sauce - more or less to suit your taste. 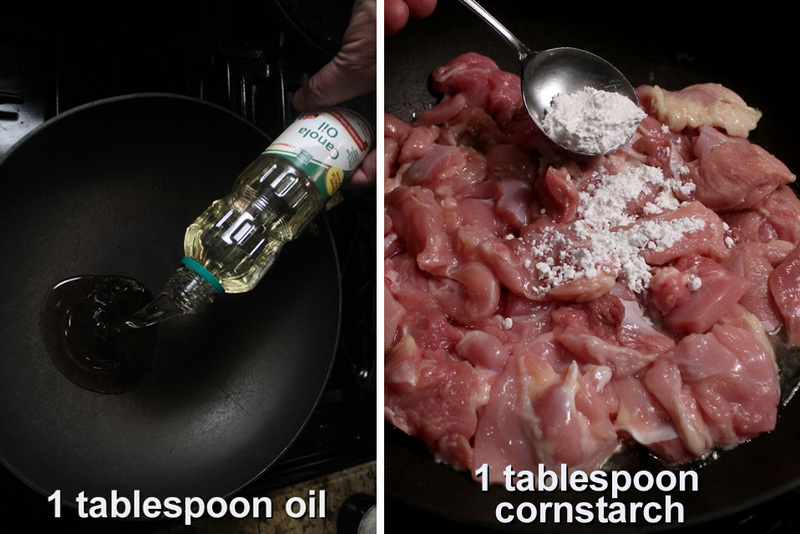 1 tablespoon oil - to saute chicken. 1 tablespoon corn starch or flour - optional. This will thicken liquid, if you like it that way. Mix into raw chicken. 1/4 cup water or favorite broth - optional. Add this if you like a lot of sauce in your stir fry. *For a little spicy heat it okay to add a 1/4 teaspoon of red pepper flakes (or less if you have a low tolerance.) Traditionally, small red hot chilis are added during sauteing. You could use any spicy chili or jalapeno. You will want to add a little at a time to reach desired spiciness. If you are serving with rice, then get the rice going, according to package directions. It will take 20 to 30 minutes. When about half way done, you can start the Chicken and Basil Stir Fry. You can make the rice ahead of time - I usually have a cup or two of cooked rice in the freezer, that microwaves to hot in just a few minutes. 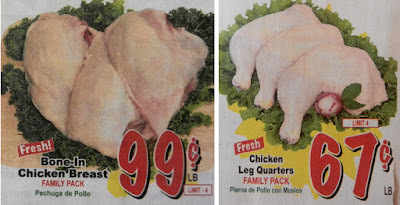 For this recipe I used skinless and boneless dark meat (It comes on sale for less than a dollar per pound, so I always have some in the freezer, at the ready.) 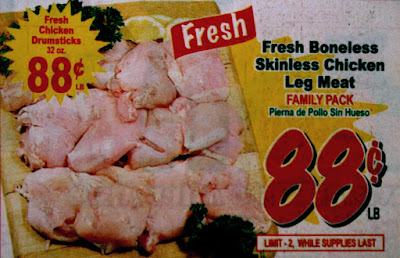 You can use more lean, but expensive, white breast meat if you can afford it. White meat is easier to remove from the bone than dark meat. Add oil to a medium/hot pan. For a thick sauce sprinkle in a teaspoon of corn starch or flour over chicken. Add chicken to hot pan. Stir in garlic and mix well. Add a teaspoon of honey or any favorite sweetener. Add sliced green onion or regular sliced white or yellow onion. If you like a lot of sauce then add an extra 1/4 cup of water or favorite broth. Continue to stir and cook chicken until done, about 3-5 minutes. 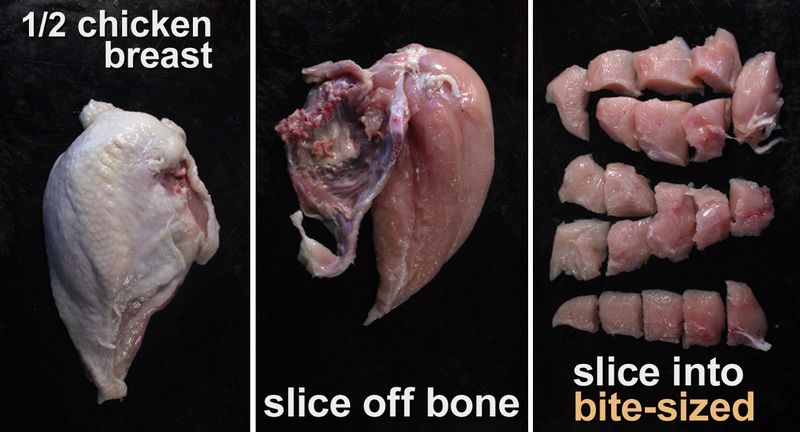 Check for doneness by slicing into thickest piece of chicken to make sure there is no pink color. 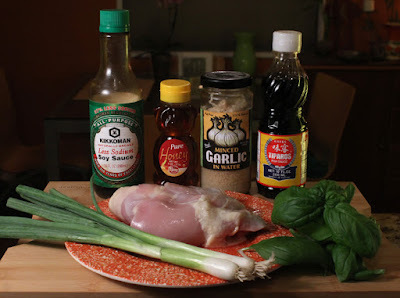 When chicken is done add the basil leaves (remove any large stems.) You only need to stir fry less than a minute to soften the leaves.